Hello you sweet wonderful people! Yes it is I, making a brief return from being flu-ridden with a lovely side dish of a chest infection because when I see OneRepublic have a new video out how can I not? I'd say I'm joking but I'm really not; as soon as I got the alert that this video was up & showed it to the good people at CONTROLRadioUK HQ through the wonders of technology, the reaction was 'of course', greeted by what was possibly an eye roll. Fun fact for you? This song though not my favourite off the album is my favourite to work out to & whilst I always prefer actual music videos instead of something put together for a movie soundtrack, it is a new OneRepublic music video! How can I complain too much? Even when it's not my favourite song on the album it is still a fantastic song musically & lyrically because that is OneRepublic & I shall enjoy waxing poetry over them further in my 'Albums of 2016' Article you can enjoy reading next week. Do I need to tell you their album 'Oh My My' is currently out now? Not really because you should already have it. I think it's possible I might've mentioned how much I love Grouplove before. They're a fun band who give us fun music we can dance the night away to & video's that can be extremely amusing like this one here. What more could you want from a band? Especially when unlike a lot of Artists/Bands who give us 3/4 videos for singles on an album & make us curse their choice of singles, they're partnered with Genero to allow other people to produce videos for their songs. It's pretty freaking neat & I love it. Again I shouldn't need to remind you 'Big Mess' is available to stream/download now since you should already have it, but I'm nothing if not a helpful elf. 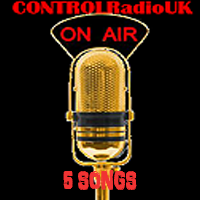 I featured Melanie C's previous single 'Anymore' here and we at CONTROLRadioUK HQ are massive fans of hers. She's always made fantastic music & this time she has an equally fantastic video to accompany. I love the message of the song, I love the music & I like how the video's intershot (if you don't know what that means hahahaha! Let me enjoy being the smartest of them all thanks to the endlessly boring miss-en-scene lessons at college). But seriously this time of year is either filled with Christmas songs or ballads. Whilst I'll take Christmas songs any day of the week (or one song in particular which will be a feature of next week's Throwback Thursday article) the ballad's get a bit much; they're extremely depressing, with either a moody black & white video to accompany or just a plain moody video & song that's dark until the end where we get the big choir cause everything's ok again. It's boring, I hate them & will appreciate that this is a nice up-tempo ballad. If you've never heard the BAMF that is 'Farewell To The Fairground', I don't know what you're doing, but this here is your redemption. I will admit that whilst I like White Lies not all of their music is my thing. Sometimes the lyrics can be a bit problematic, possibly having a deeper meaning I don't agree with & led to the odd track being deleted from my Computer's existence. Other times they give us songs like this beauty * I'm just in love. The video doesn't do anything for me at all, but consider myself feeling the Christmas spirit as a welcome distraction from being ill for the last 3 weeks, and going easy on my critique this week. Which you should enjoy whilst it lasts because I'll soon be back to my critical best, tearing the crap out of stuff that shouldn't exist. I know! Full of joy! Another on my 'said it before but I'm saying it again' list; Getting into Tegan & Sara's music this year is one of the best musically related choices I've made this year. It's so chill with a bit of 80's funk & an ok video. That's right! I am for once not ripping a new one over videos not having stories to them, truly feeling the Christmas spirit. I like the fact that they, along with other Artists/Bands I'm jamming to, are capable of making fun music with deep lyrics. One of the pains of my collection this year is loving the music of a song which contains such lyrics as 'blues clues', 'bluetook' & 'muffin top' along with another that repeats the word 'motor bike, bike, bike, bike'. I don't know why this is forced onto me since it's generally accepted I am a good person who doesn't deserve to hear such tripe, but I thank Artists like Tegan & Sara for restoring the balance of the universe.